This week I have two awesome new recipes for you, inspired by a great charity. 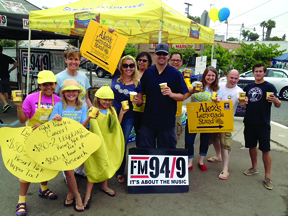 I am partnering with friends to support Alex’s Lemonade Stand in San Diego, which is one of the biggest fundraisers in California and one of the top ten Alex’s Lemonade Stands in the country. 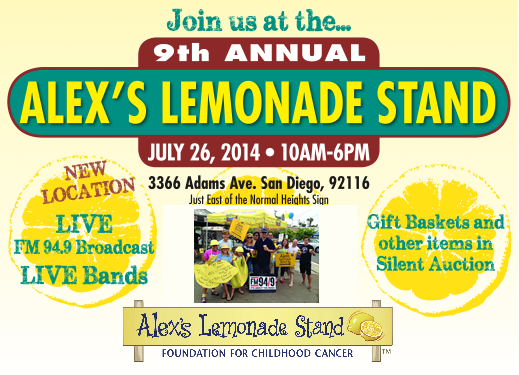 Since its inception, Alex’s Lemonade Stand has raised over $80 million worldwide for childhood cancer, and has funded more than 450 research projects at 94 institutions. They also help families struggling with childhood cancer through a Travel Fund and an annual Educational Symposium. If you can’t attend, please click here to donate. Let’s help the Miller Tribe reach their goal of $15,000 this year, which would be a total of $100,000 for the nine years they’ve been running. I’m helping out by participating in the San Diego Food Bloggers Lemonade Online Challenge, sponsored by Melissa’s Produce. In addition to my two recipes (below), more than a dozen San Diego Food Bloggers will be cooking with lemons in support of Alex’s Lemonade Stand. 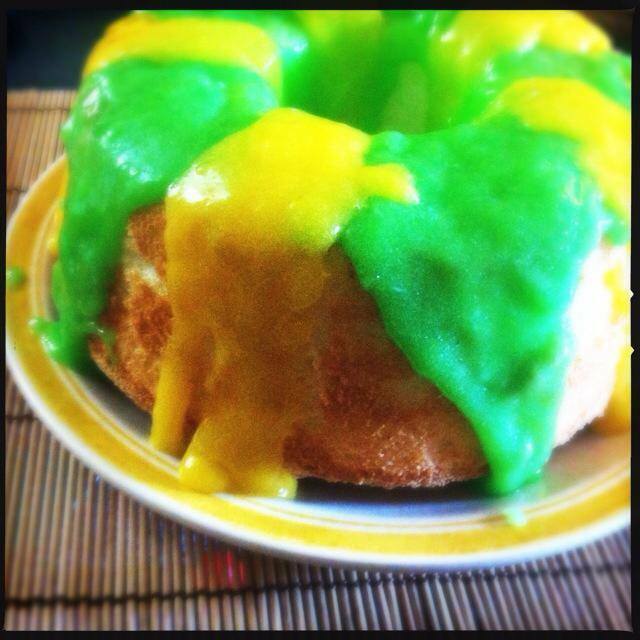 Please check out their lemony recipes online between July 21-28, and make a donation to the Stand through links on their blogs, linked at the end of this post. I accepted the lemon challenge and came up with a savory and a sweet recipe using the delicious fruit from Melissa’s Produce. I hope you enjoy these. I sure did. 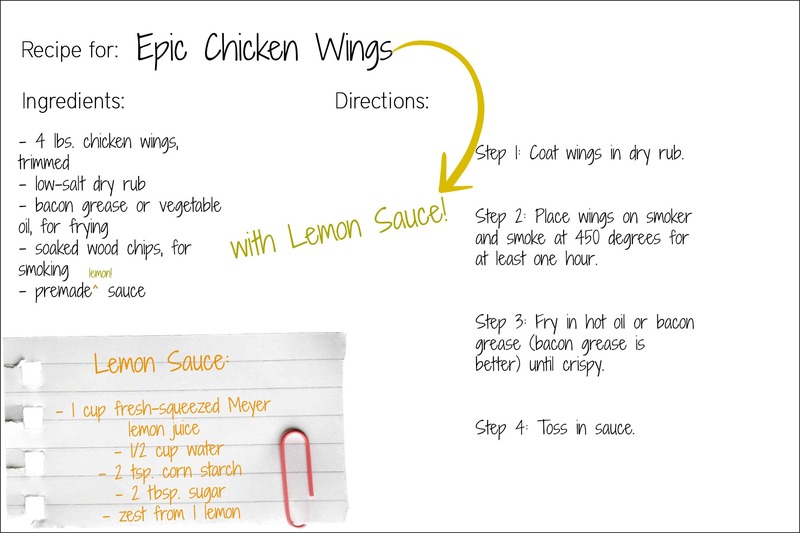 For the savory part of the challenge, I opted for the best recipe I have made all summer, Epic Wings. Seasoned. Smoked. Fried. Tossed in sauce. I’ve made them a number of times so far this summer and you can’t beat them for crowd-pleasing. They’re the best. 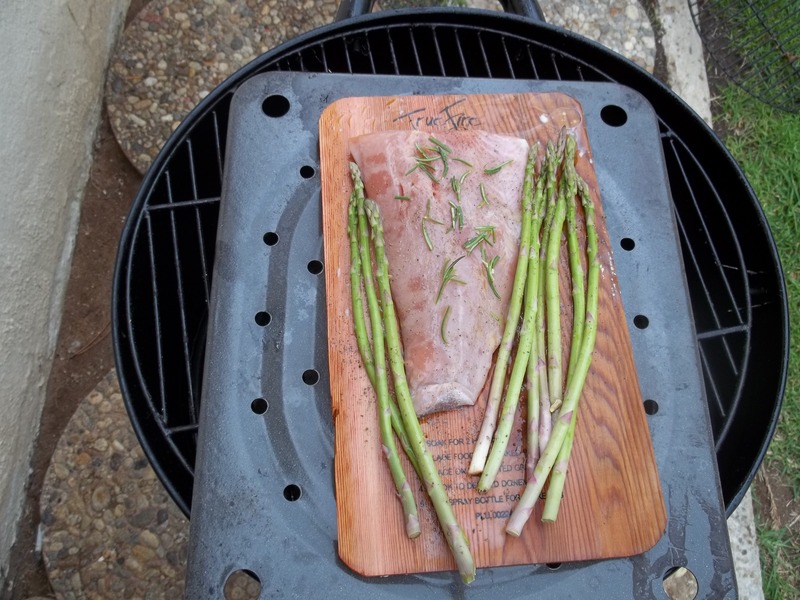 And as usual, one of my favorite things about this recipe is its extreme versatility. I decided since I was doing a lemon challenge, the sauce for these Epic babies would be a delicious Meyer lemon sauce. 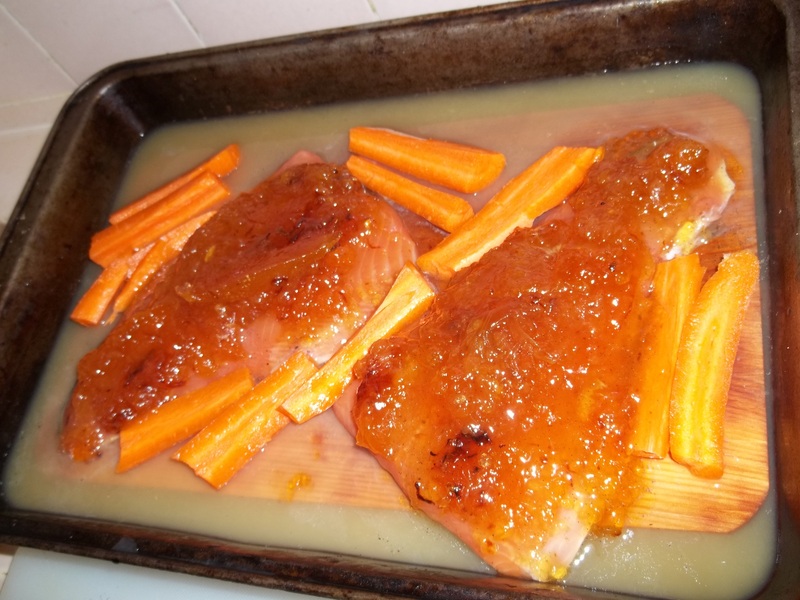 I based mine off of this one, but used more lemon juice and lemon zest, and had a different preparation process. To really switch up the flavors, I decided to try some different wood chips than I usually use; the Jack Daniel’s brand wood chips, made from the oak barrels they use to age the whiskey. 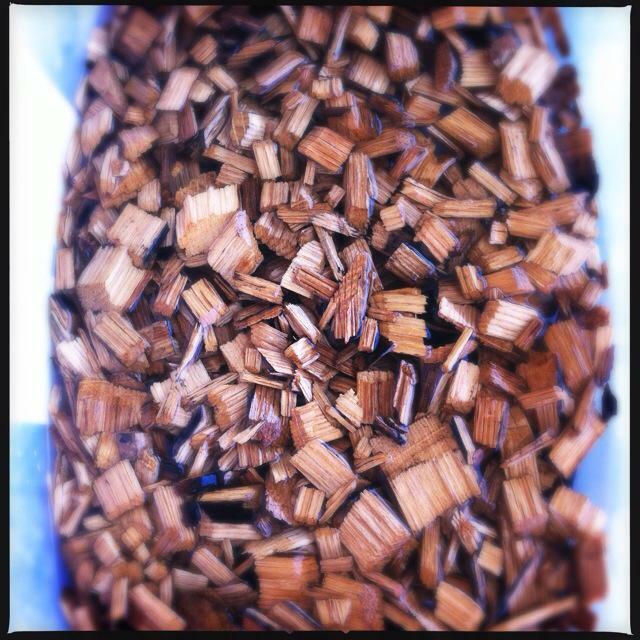 Just remember: Oak chips need to pre-soak a little longer than most. Feel free to use any type of wood chips because all of them taste good, and frankly, I don’t think it’s possible to screw up these wings. First, season the wings. Make sure the seasoning you use is salt-free (or at the very least low-salt) because too much salt will dry out the meat during smoking. 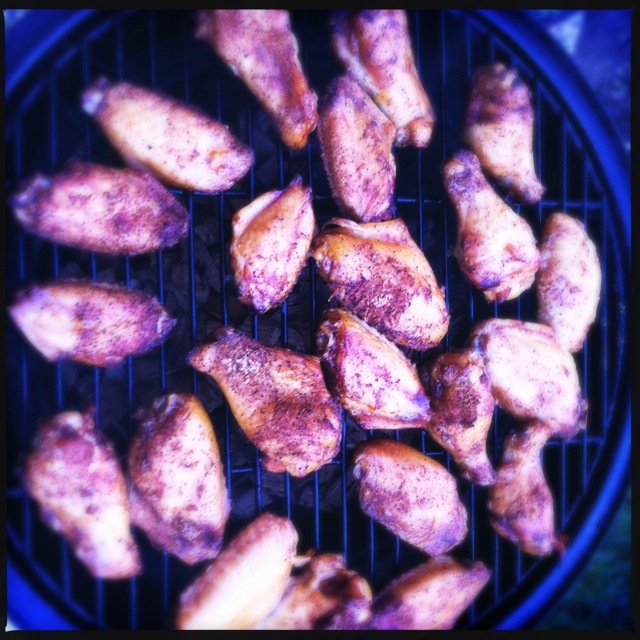 Prepare your smoker according to manufacturer specifications with soaked wood chips of your choice, and let the chicken wings smoke for at least one hour. While the wings are smoking, prepare your sauce. 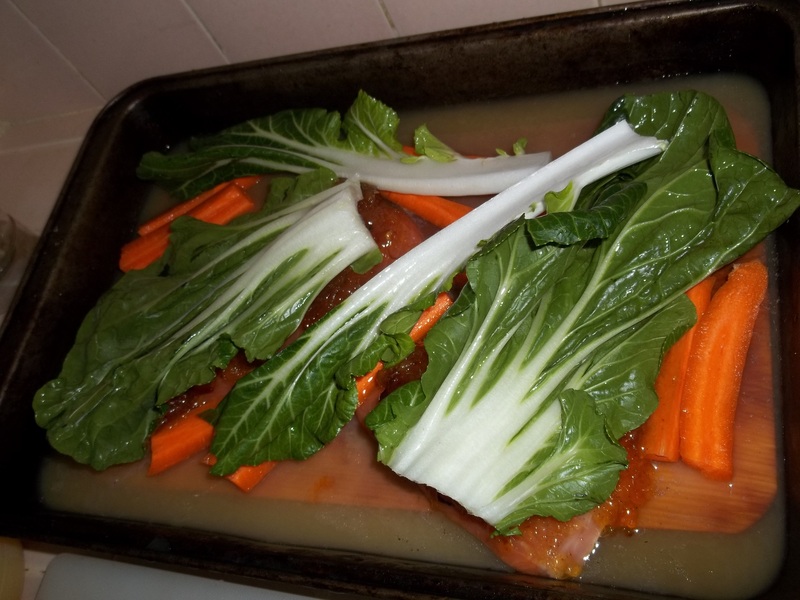 You should do this regardless of which sauce you decide to use, but for the lemon sauce, I mix the water and sugar in a pot and bring it up to a simmer. 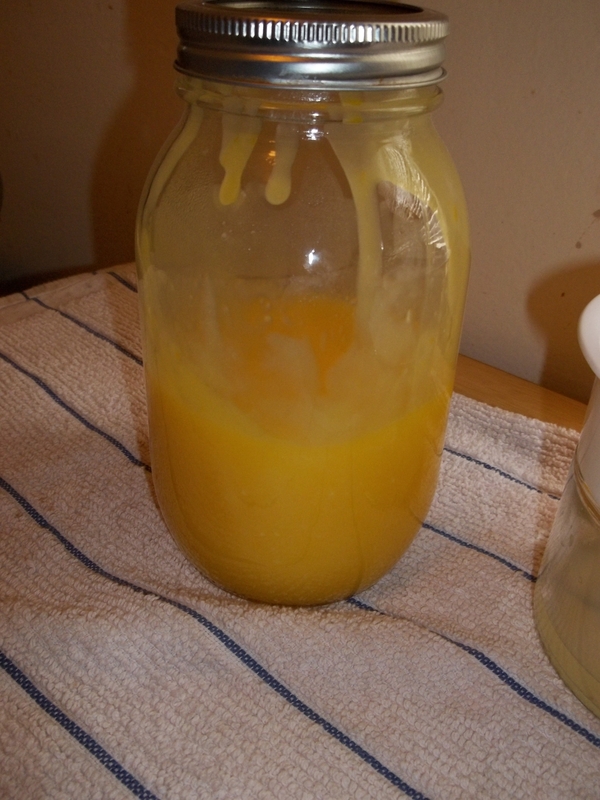 Separately, mix the lemon juice and corn starch, while the liquid is still cold, and add it to the pot, stirring constantly. Add the lemon zest and set aside. Fry the wings in bacon grease or oil. I don’t really need to tell you why bacon grease is the optimal setting for this, or why you can substitute oil if you so desire. I don’t have a deep fryer so I used bacon grease in a cast-iron skillet, but again, the idea is to deep-fry the wings you just smoked, so it really doesn’t matter how it gets done. If you have a deep fryer, use it. If you have duck fat or something somehow tastier than bacon grease or duck fat, then by all means, fry it in that. 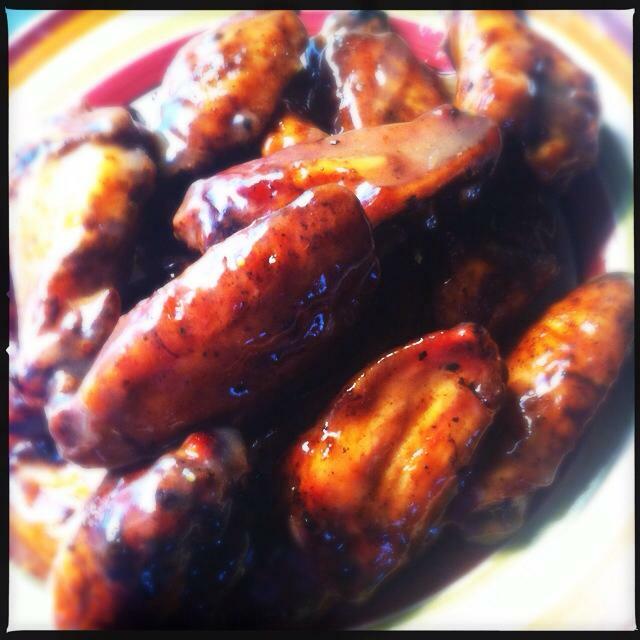 They’re already fully cooked in the smoker, and the flash fry will seal in the meat juices and the flavors of your seasoning and smoking, and add a nice crispy edge to your wings so that the last step doesn’t make them soggy. 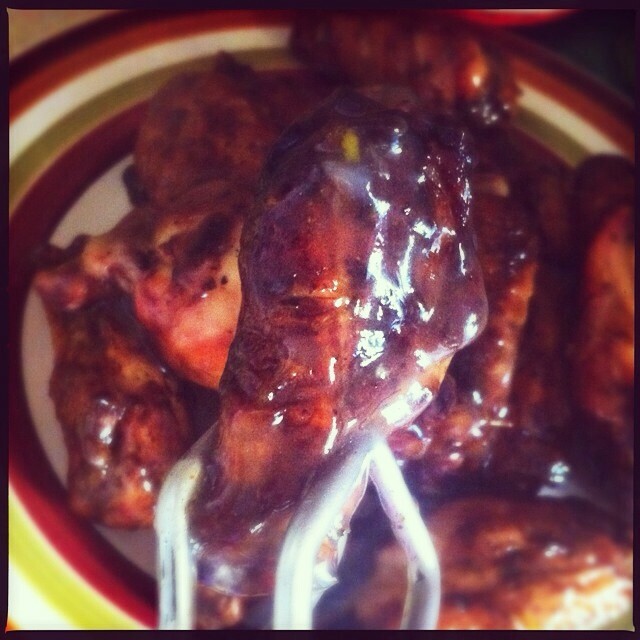 The last step: Toss the wings in the sauce, and make sure you get them nicely coated. Serve immediately. Sit and bask in the compliments you receive. For the sweet lemon recipe, I wanted to make a nice lemon curd like this one I used from Linda Ziedrich’s book called “Jams, Jellies and Other Sweet Preserves.” It’s simple and delicious, and a beginner like myself can make it. My box of produce from Melissa’s Produce had two kinds of lemons as well as Key Limes, so I opted to make a curd from Key Limes, a curd from lemons, and then swirl them together for a fun dessert topping. First of all, I would recommend, especially if you are cooking with Key Limes, that you get yourself an assistant. Preferably one with strong hands. 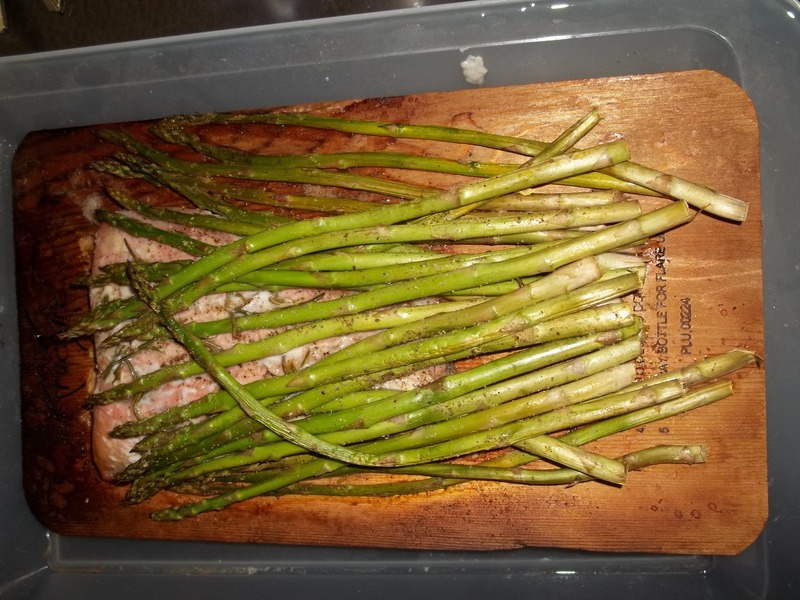 Or when you plan your cooking, add at least a half-hour for juicing. 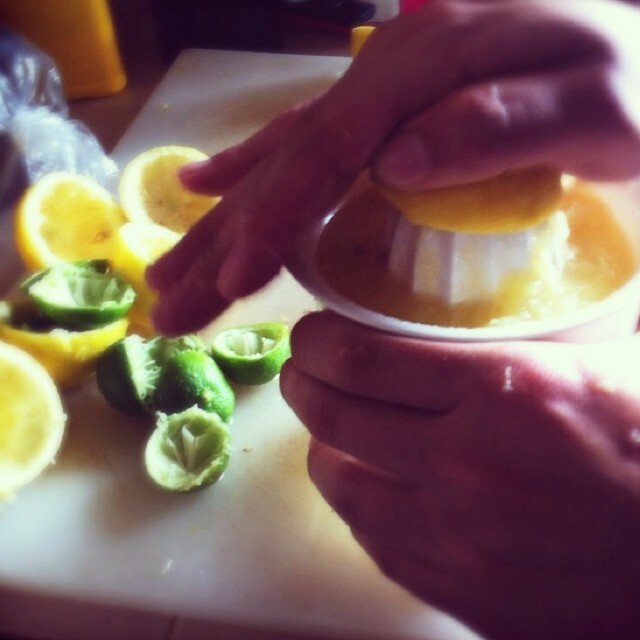 For the curd recipe, you need 2/3 cup of lemon juice (or lime juice if you’re making lime curd), and for those tiny Key Limes, you’ll need about a dozen to get 2/3 of a cup. 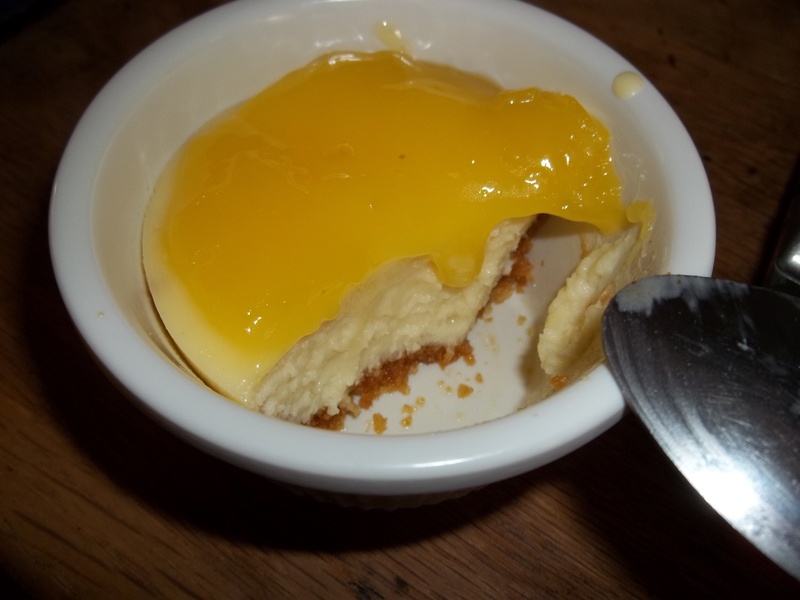 I added a bit of green food coloring to the Key Lime-flavored curd, because with the egg yolks and eggs, the finished product looked too yellow. In the end, the lemon curd and the lime curd together was lovely on top of a fluffy angel food cake. I am huge fan of Linda Zeidrich and her book “The Joy of Jams, Jellies and Other Sweet Preserves – 200 Classic and Contemporary Recipes Showcasing the Fabulous Flavors of Fresh Fruits.” It has excellent recommendations for using fresh fruits and I highly recommend it. I bought it in the first place because of a post by Kate Payne (“The Hip Girl’s Guide to Homemaking“) with orange-vanilla jelly, aka Creamsicle in a Jar. It so happened that my lovely friend (and fellow jammer) Eliza was at a party I attended, and she brought the Creamsicle jelly. Oh. My. Gawd. It was perfect. Not too sweet, but literally like an orange creamsicle. At the same party, I came into possession of an enormous grocery bag full of fresh, organic lemons. 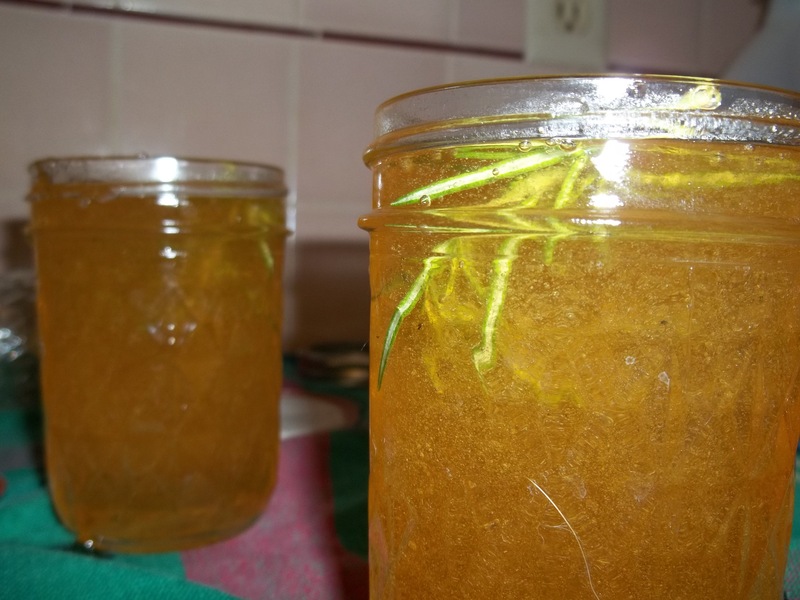 Upon perusal of Linda’s book, I decided to try my hand at lemon jelly, as well as a variation on the lemon jelly with fresh rosemary. This makes a chicken sandwich POP. So, then, just to use up some of the bag of lemons, I also tried the same recipe and used mint leaves instead of fresh rosemary. Delish! 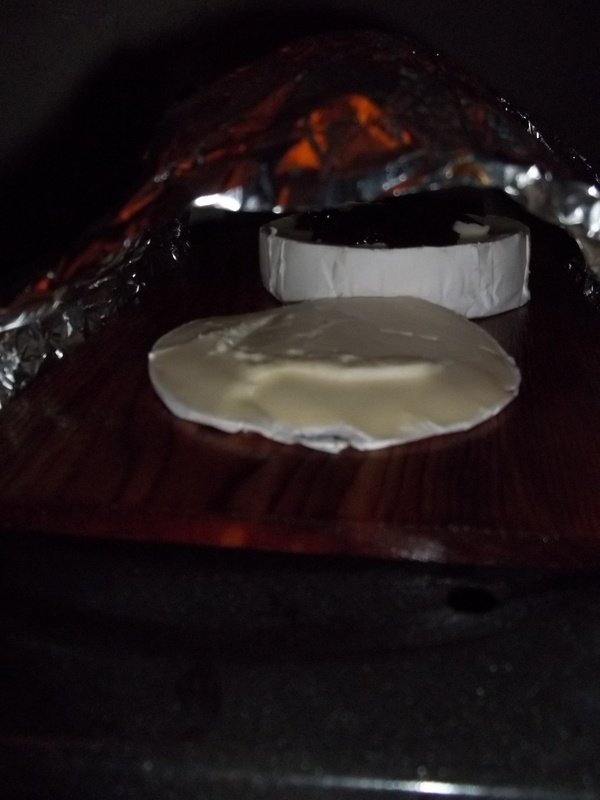 My next experiment wasn’t quite as good in my own opinion, but my dinner party guests seemed to love it. 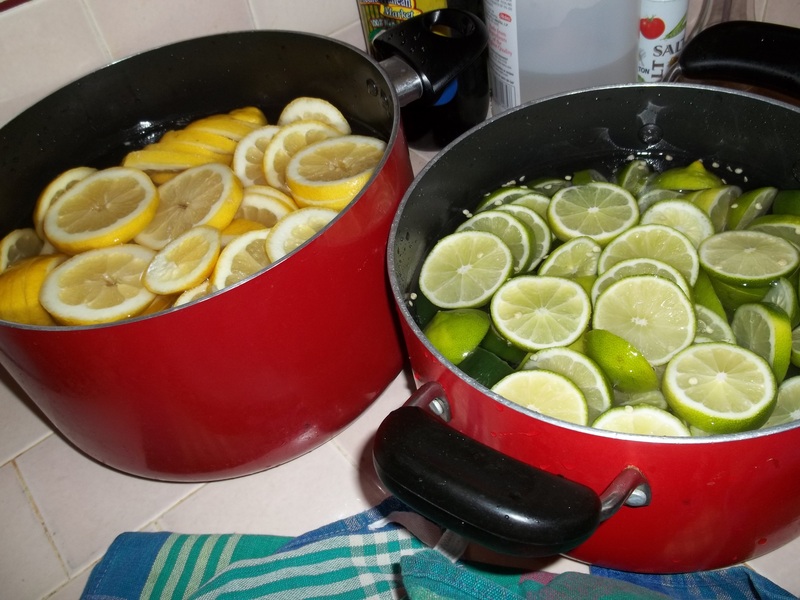 Instead of lemons, I used limes, and instead of adding fresh herbs at the end, I used jalapeno. 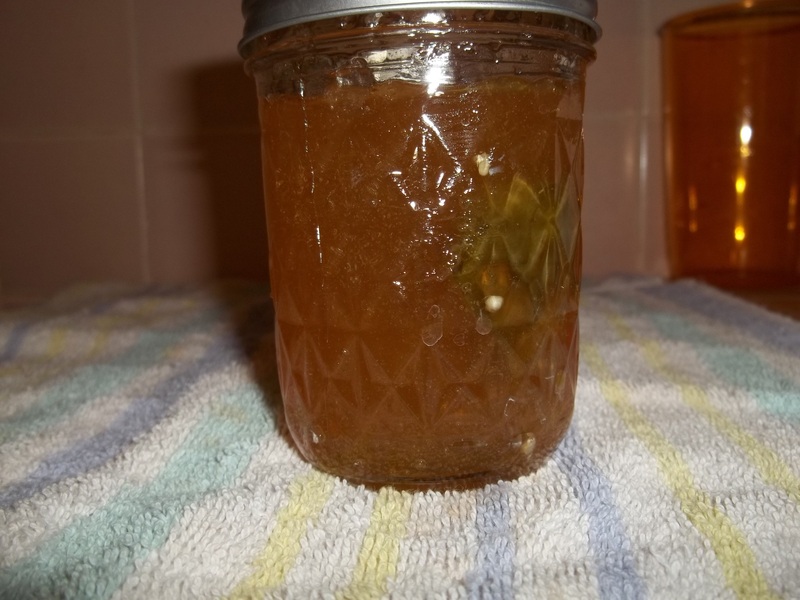 I sliced the limes and let them sit in water overnight, then simmered the mixture with jalapenos and strained it through a jelly bag. After straining the juice I added the sugar and continued the boil until the mixture gelled. 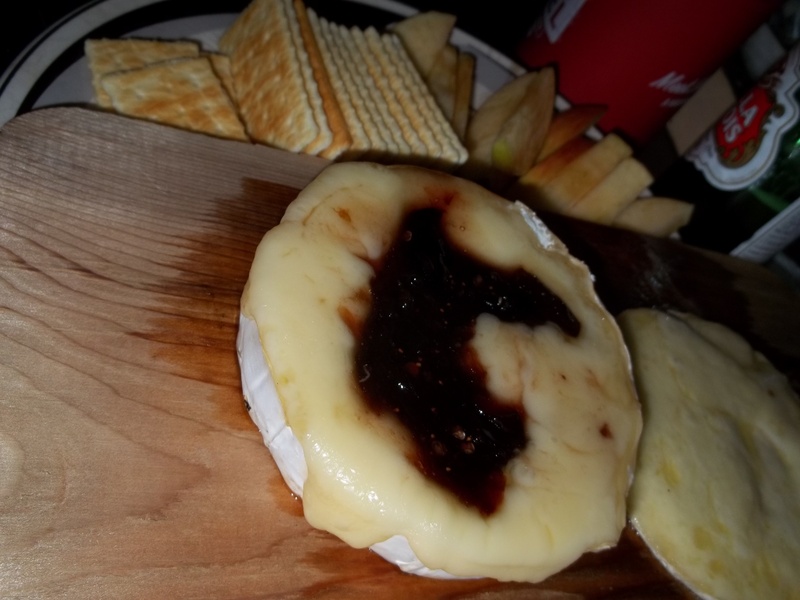 It was too spicy for me but it went fast when I topped cream cheese with it and used it as a spicy dip! 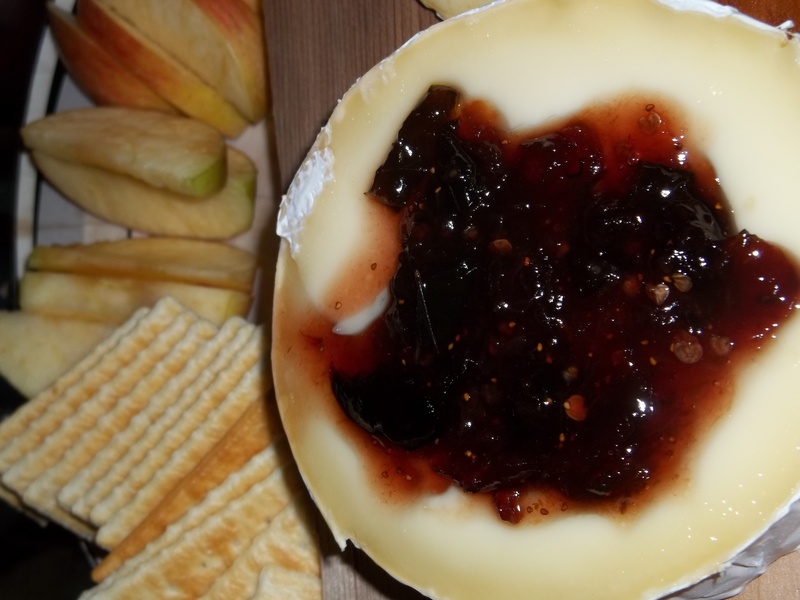 Lime-Jalapeno jellyCream cheese dip with homemade lime-jalapeno jelly. 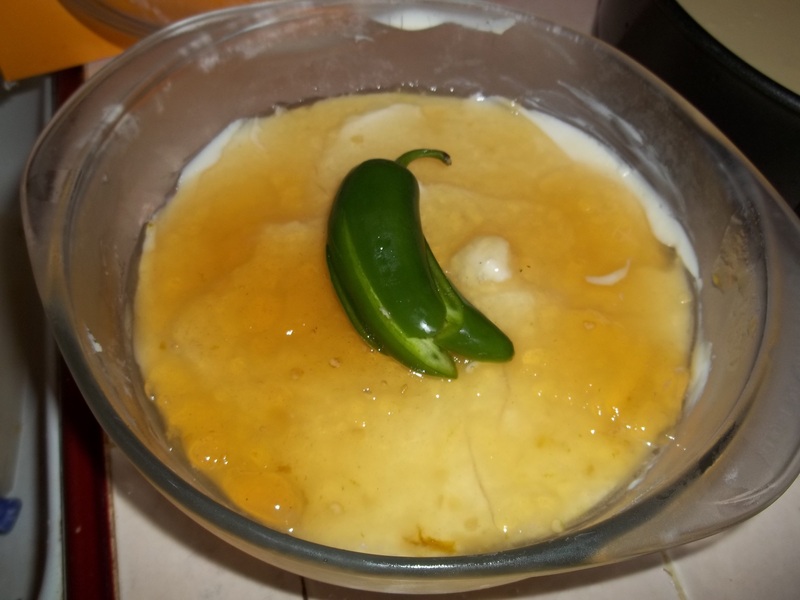 Cream cheese dip with homemade lime-jalapeno jelly.